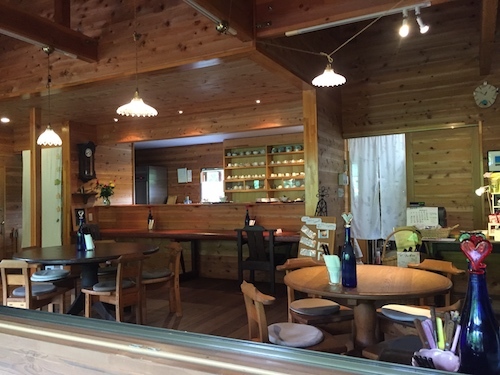 Home › Style › Top 7 vegan restaurants and cafes in vegan &#038; organic heaven Yatsugatake South Base to visit weekend! 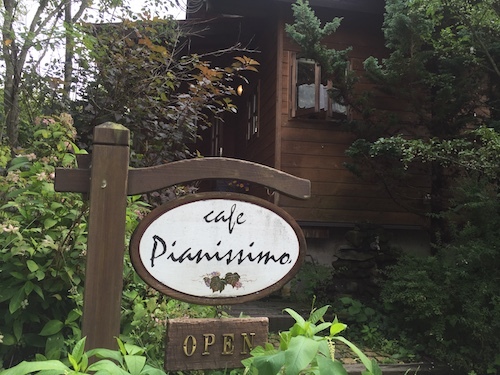 Top 7 vegan restaurants and cafes in vegan &#038; organic heaven Yatsugatake South Base to visit weekend! Yamanashi Prefecture is a neighbour prefecture of Tokyo but surrounded by nature and packed with delicious vegetables and fruits in season. Hokuto City is located in the northern part of Yamanashi near Nagano Prefecture. It is in Yatsugatake South Base where we can enjoy clear water, air and beautiful scenery. It takes only 2 hour drive on the Chuo Expressway or Azusa train ride from Tokyo. And in fact it is a well-known place for vegan, organic and macrobiotic foods and there are many famous restaurants and cafes. 7 “Organic Cafe Gopan” pioneer of brown rice bread! 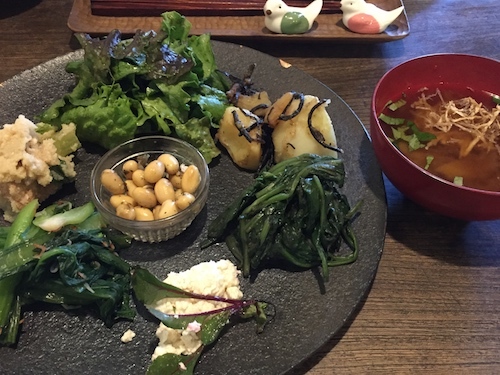 When people ask veggie or macrobiotic restaurants they should visit, “Kitchen Ohana” is one of the restaurants coming up in my mind first regardless of the location. 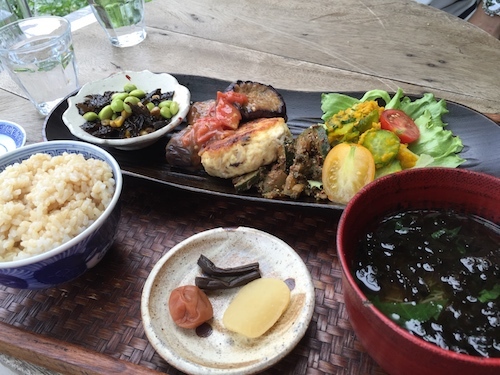 “Ohisama Plate” cooked by the owner, Macrobi Papa looks beautiful and tastes delicate. Elaborately prepared delicious foods will impress also non-vegan males. Mild taste soup, salad dressing and slightly ginger flavoured green tea, everything is well-balanced, which takes our breath away. And the desserts also always surprise us for the quality. They are all vegan but I could not find so delicious sweets in other places. 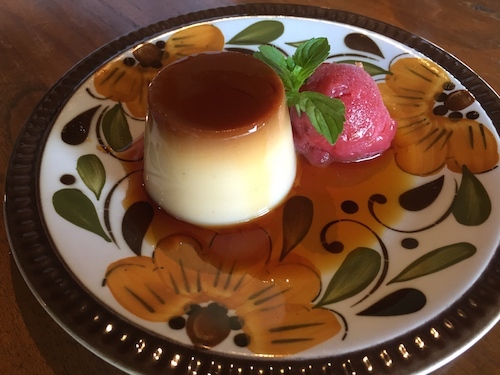 This creamy pudding has superb taste and texture and no smell of soy or coconut milk which we usually find in vegan puddings. 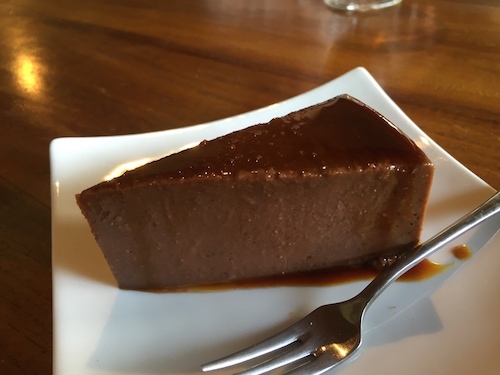 Rich chocolate pudding with sweet chestnut is available only here. 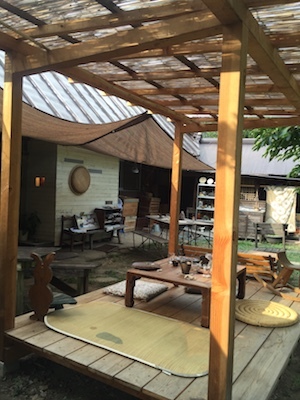 The owner renovated a traditional folk house to “Kitchen Ohana”. Everything from floor, rocket stove to washing sink is handmade. We hope also non-vegan people to visit here at least once. Artistic and delicious vegan foods are served at the wooden deck surrounded by trees with bird singing and river sounds. This is one of my favourite cafes where our urban fatigue is soothed by gentle breeze. Actually here is a most advanced cafe which has served fermented brown rice and raw desserts for a long time much before they became popular. 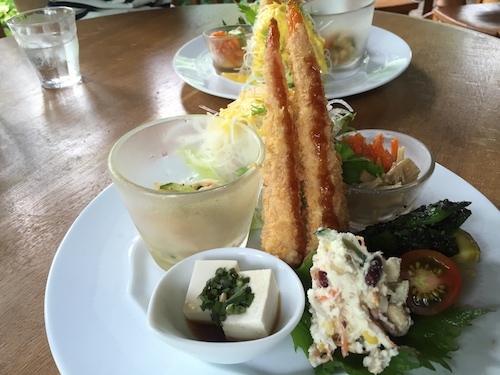 The standard dish is deep-fried prawn like deep-fried carrot. It is so delicious just like deep-fried prawn. Both taste and portion make adult male guests also satisfied. 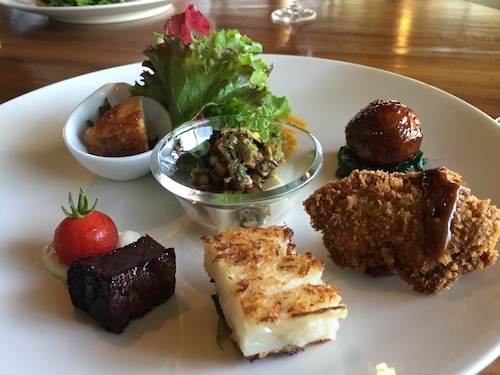 You can choose one main dish from among three choices such as ring baked wheat gluten cutlet, great millet gyoza dumpling and ring baked wheat gluten Namban marinade. For rice, you can choose from among white rice, brown rice and fermented brown rice. You will definitely be refreshed by returning to nature and enjoying the blessings of nature. 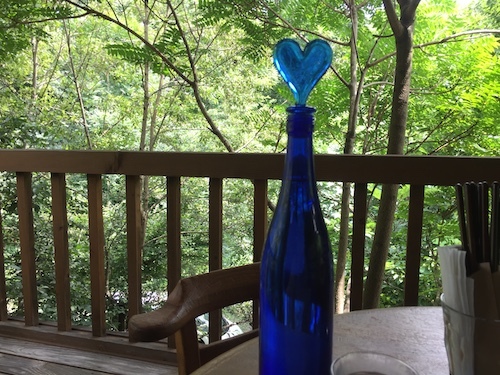 Hokuto City is famous for the delicious spring water. 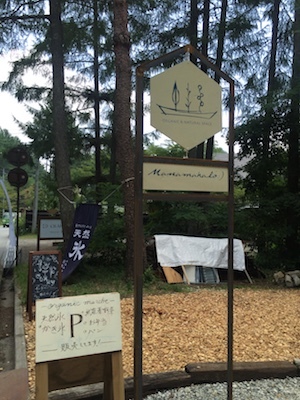 This shop serves shaved ice made with the Yatsugatake natural spring water. 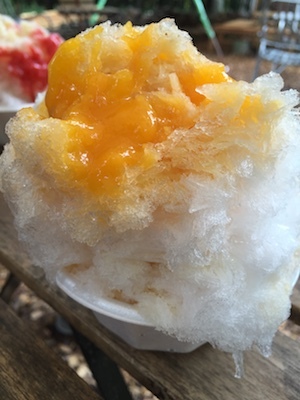 This is healthy shaved ice produced under the direction of Minaka Nagai, a macrobiotic instructor. 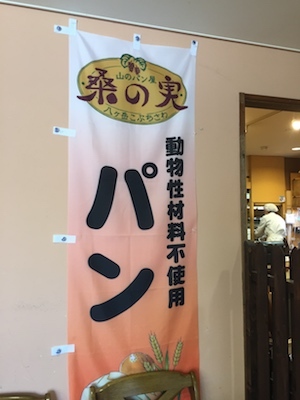 Fruit sauce cooked mainly with organic seasonal fruits and beet sugar, condensed soy milk and slowly simmered local organic Adzuki bean paste are used for the shaved ice. 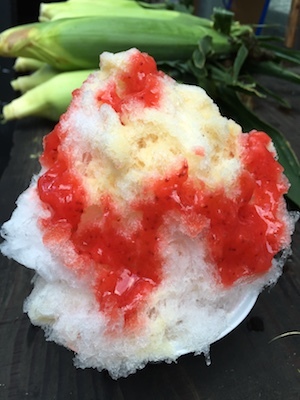 Not too sweet, organic handmade shaved ice without white sugar and food additives is delicious and an ideal dessert for small children as well as grownups. Thoroughly enjoy the taste of gorgeous fresh fruit syrup. 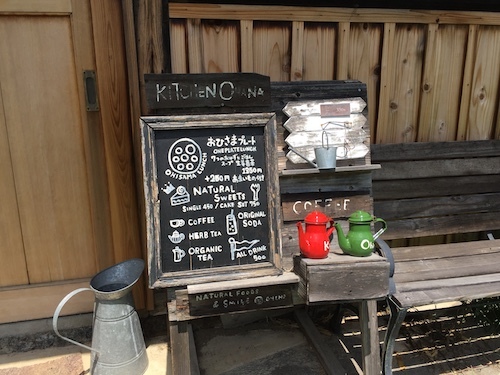 “Yama-no-Panya Kuwanomi” is located in a roadside station in Kobuchizawa in front of Manamahalo and it is actually a vegan bakery. Use Yamanashi flour and slowly ferment the dough with homemade natural yeast. 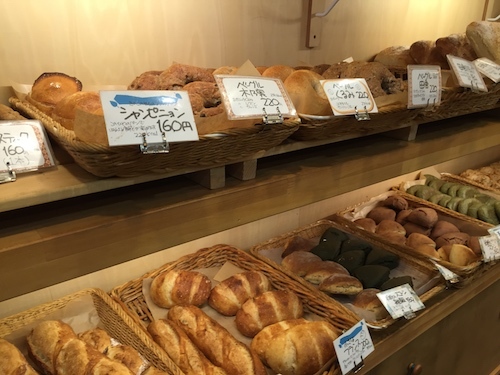 Bread cooked without egg and dairy products are displayed. There are so many varieties and it is hard to choose some! 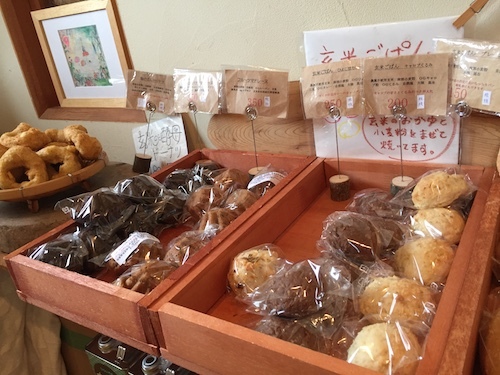 In Yatsugatake area, “HOKUTO bakery map” listing best bakeries in the area is available. 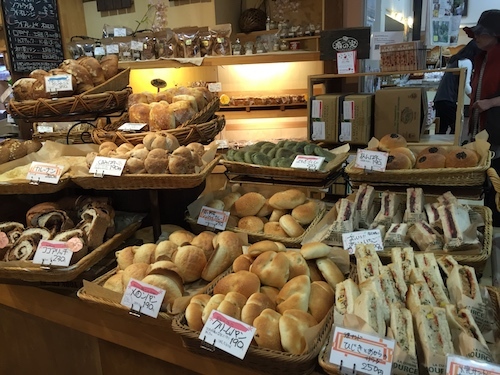 Among many good bakeries, you must try some bread from the vegan bakery which prides itself on the taste of their products without using animal products! Akeno Town, Hokuto City located in the middle of Mt. Kayagatake near Yatsugatake is famous for sunflower fields and the Heidi’s Village. 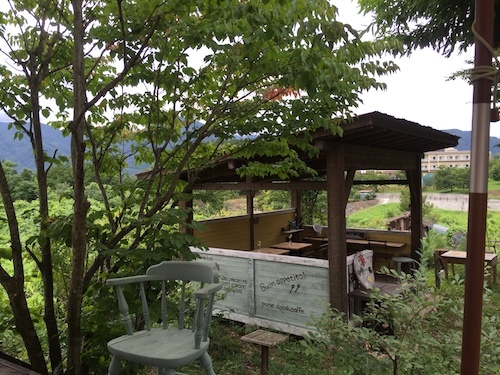 “cafe Kujiragumo” located in Akeno Town with a panoramic view of Minami-Alps and Yatsugatake is one of pioneers of traditional folk house cafe boom. 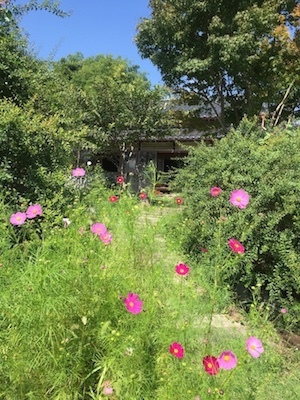 In the renovated traditional folk house you can enjoy foods prepared mainly with local vegetables under the theme of coexistence of human being, nature and living things. They serve also desserts cooked with free-range eggs and milk. 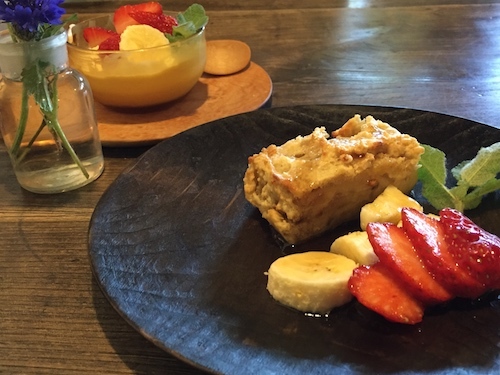 Thanks to positive word-of-mouth, the cafe becomes very popular among young couples and groups in Tokyo. The reason of the popularity is not just because of the foods and desserts but also animals. 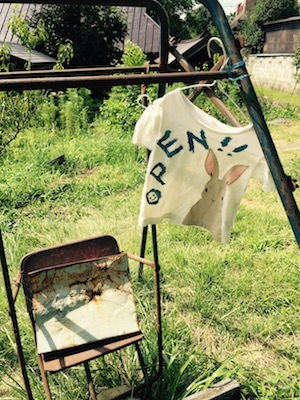 Goats in the garden and a rabbit called Kurumi-kun in the cafe welcome their guests. 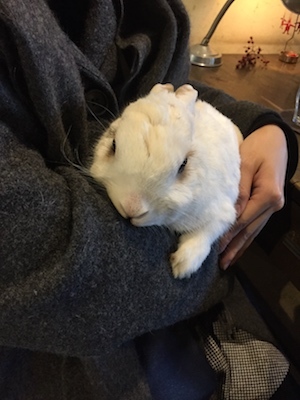 If you ask the owners, you can hold Kurumi-kun. Very friendly and cute animals will soothe you. You can have a relaxing cafe time with healthy foods and cakes while enjoying a conversation with the owners. “Ochanojikan” is located in Anayama Town, Nirasaki City opposite to Akeno Town. Bread and desserts cooked with domestic flour and homemade fruit yeast and vegan foods prepared with a plenty of vegetables in season will gently soothe your body. 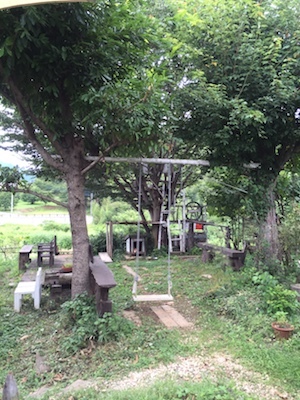 In the garden, you can have fun like children with the owner’s handmade swing and tree house or you can just mindlessly see the view of Minami-Alps. This place is ideal to refresh yourself if you are tired of urban life. The Nel Drip organic coffee is also superb. 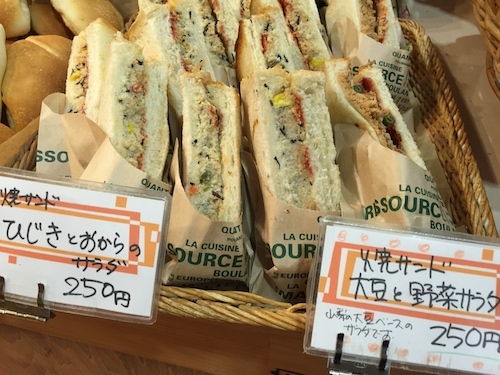 You can purchase the natural yeast bread baked by the owner’s wife in every morning at the cafe if you can arrive there early enough. 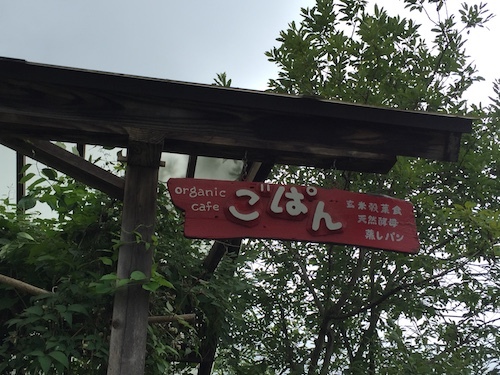 “Organic Cafe Gopan” pioneer of brown rice bread! Because the cafe owner wants everyone to be mentally and physically healthy, the owner cares about the ingredients and the cooking method. 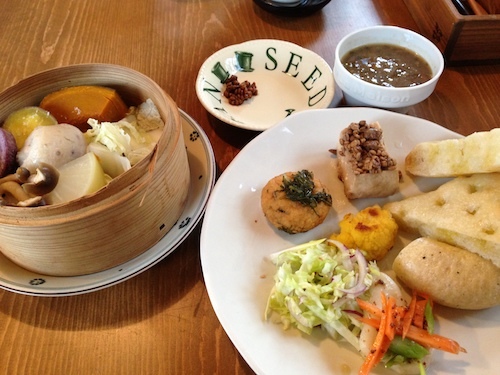 The cafe serves macrobiotic grain and vegetable cuisine and bread prepared with the ingredients which they know the producers and quality water and without animal and dairy products, egg and sugar. 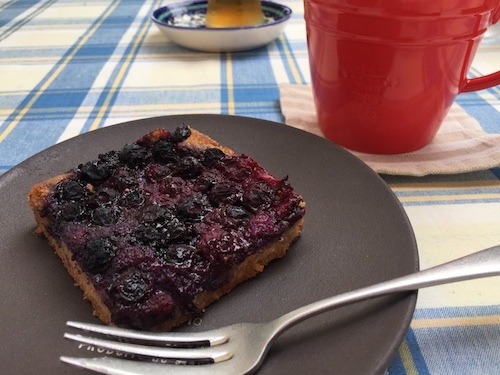 They use no beet sugar and maple syrup as well for the foods, bread and desserts. 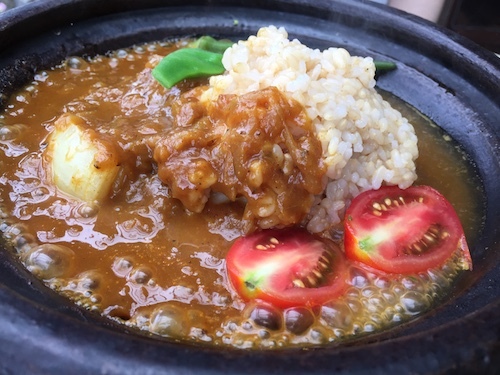 Set meal of the day, clay pot curry and rice which is available only 6 sets a day, no-egg omelette and more are available. You should not miss the bread baked in a stone oven by the owner. They can also serve the meals adapted to food allergies and halal. *The information contained in the article is as of the date when we interviewed and subject to change. We strongly recommend that you make an inquiry to the store prior to your visit. Did you know you could search for restaurants on Vegewel? We provide searching services centered on healthy restaurant choices including organic, gluten-free, vegetarian, and more so please give it a try! You can try “gluten-free” with these sweet and delicious desserts! Here are 8 selected healthy eating restaurants with gluten-free sweets.